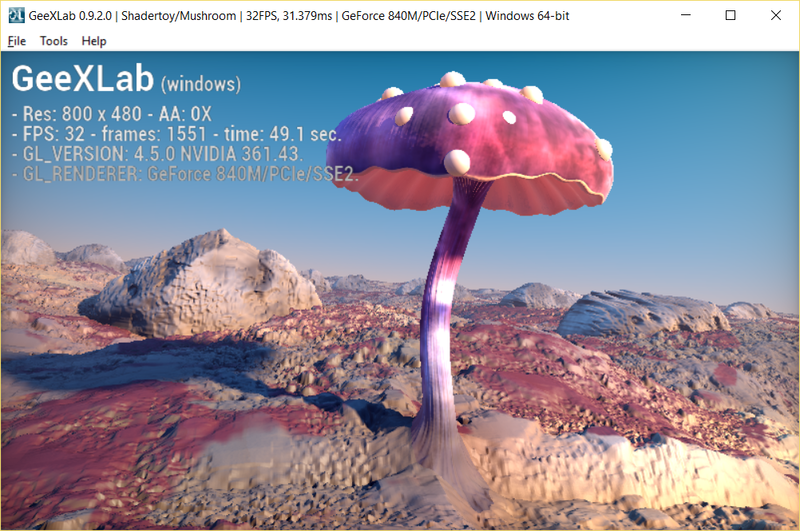 I tried to port the demo to GeeXLab but Intel compiler crashes, AMD and NVIDIA complain about "OpenGL/ES doesn't allow use of reserved word texture2DGradEXT" etc. Re: How to handle "texture2DGradEXT"
texture2DGradEXT can be replaced by textureGrad in OpenGL 3.2+ (#version 150 in the GLSL shader). But I didn't manage to run the demo on my GTX 960. 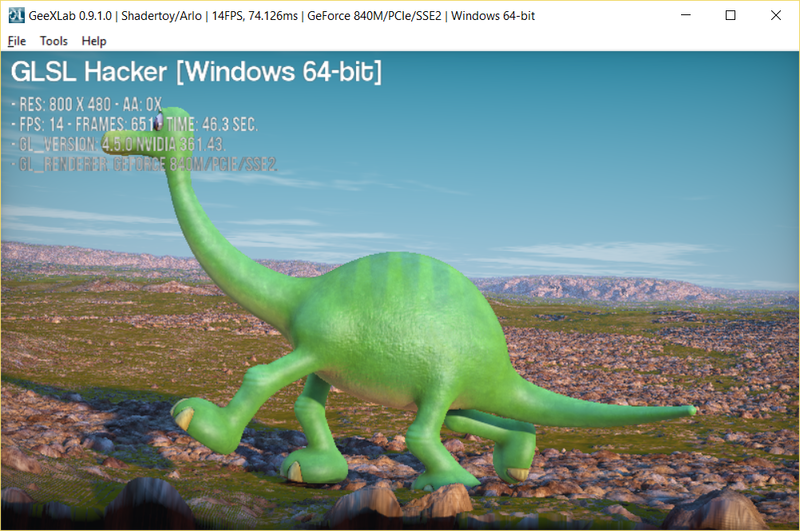 There is something else in the pixel shader that is not appreciated by the GTX 960.